For Tiny House Construction That Performs, Trust One Of The World’s Most Experienced Tiny House Builders. B&B Micro Manufacturing Becomes Your Partner In Bringing Your Vision To Life. Our design and build process eliminates the uncertainty in building or buying a tiny house. Whether you’ve got a few hand-drawn sketches or a blueprint to scale, our experts are ready to jump in at any step of the process to bring your vision to life. 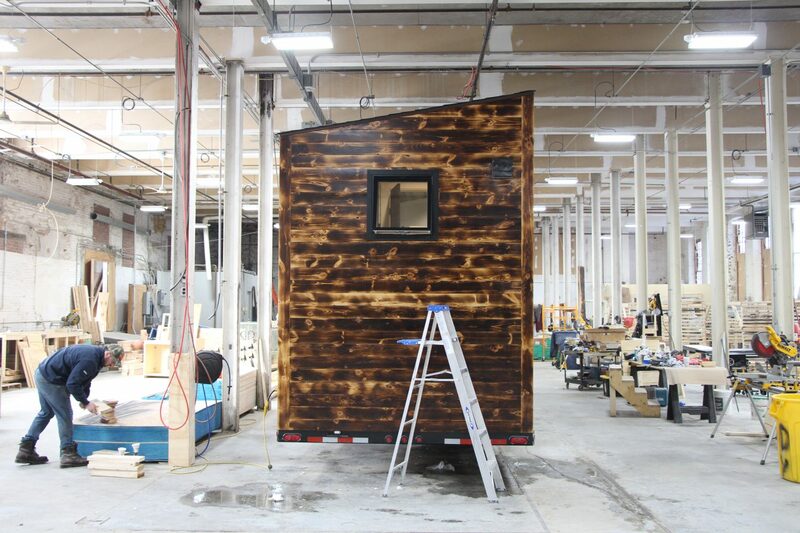 Building A Road-Safe Tiny House Is No Simple Task – B&B Micro Manufacturing Is An RVIA Certified Builder. Not many people realize that a tiny house on wheels, just like a traditional trailer camper that you can tow behind a car or truck, is actually considered an “RV”. RVIA, or the Recreational Vehicle Industry Association, is a national trade association that ensures compliance in building and safety practices for all RV Manufacturers. B&B Micro Manufacturing is an RVIA Certified tiny house builder – that means you’ll have peace of mind knowing that your tiny house was built to the highest industry standards for craftsmanship and road-safe construction. It also means that you’ll have a much easier time securing financing, insurance, and places to park. Precise Attention To Detail and Top Quality Materials Ensure Maximum Comfort and Functionality From Your New Tiny House. Building a small space that is liveable and comfortable requires attention to detail and precise planning beyond the needs of conventional “big” construction. Our team is fully immersed in tiny living and have a deep understanding of the nuances of tiny construction. We’ll help you maximize every inch of liveable space so you can enjoy living tiny without feeling like you’re making a huge sacrifice. Ready To Get Started With A Free Tiny House Consultation?